A toilet-seat based cardiovascular monitoring system can help lower hospital readmission rates for patients with congestive heart failure (CHF). A product of Heart Health Intelligence (HHI; Rochester, NY, USA), the system integrates an electrocardiogram (ECG), ballistocardiogram (BCG), and photoplethysmogram (PPG) into a toilet seat capable of clinical-grade measurements of patient weight, pulse rate, systolic and diastolic blood pressure, stroke volume, and peripheral blood oxygenation. Software algorithms then analyze the data, alerting medical providers of a deteriorating condition. A report is also passed to hospital cardiologists, who can then determine if intervention is necessary. 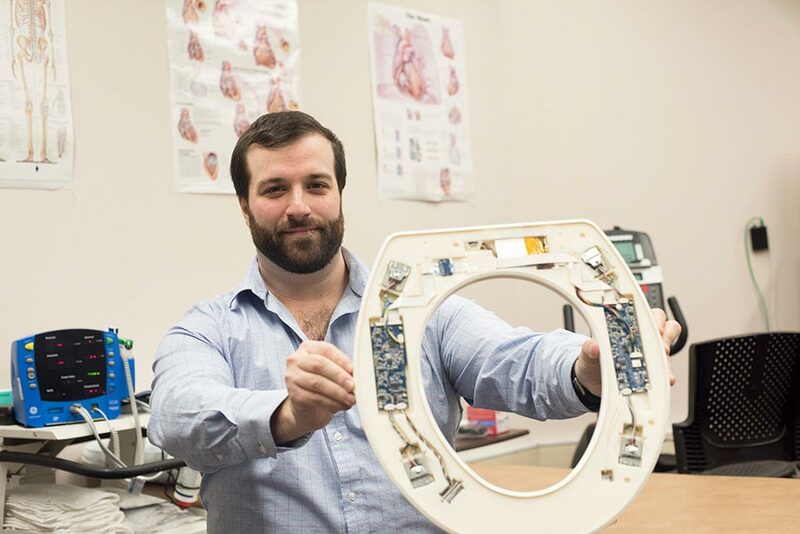 Image: Nicholas Conn presenting the toilet-seat based cardiovascular monitoring system (Photo courtesy of Sue Weisler/ RIT). The system installs directly on a standard toilet, is battery powered, wireless, waterproof, and requires no additional connections or user interaction, unobtrusively capturing cardiovascular data automatically whenever the user sits on the toilet. The seat incorporates a single-lead ECG for measuring the electrical activity of the heart and as a reference for ensemble averaging, a BCG for measuring the mechanical forces associated with the cardiac cycle, and a PPG for measuring SpO2 and pulse transit time (PTT). A floating hinge ensures that the weight on the seat is completely captured by the load cells, rather than having a portion of it carried by the hinge. In a study that compared the toilet seat–based estimates of blood pressure and peripheral blood oxygenation to a hospital-grade vital signs monitor in 18 subjects over an eight-week period, clinical grade accuracy was achieved for all of measurements. Accuracy of diastolic and systolic blood pressure was 1.2 mm and –2.7 mm Hg, respectively. Stroke volume had an accuracy of –2.5 mL, compared to the gold standard, an echocardiogram (ECG). Peripheral blood oxygenation had an error of 2.3%. The study was published in the January 2019 issue of JMIR mHealth and uHealth. The U.S. Hospital Readmission Reduction Program (HRRP) was introduced by Medicare in order to improve patient care by penalizing hospitals with poor outcomes. One key outcome measure is the readmission rate; in 2013 Medicare levied fines of USD 227 million in fines against 2,225 hospitals that will have their payments reduced by up to 2% for a year. 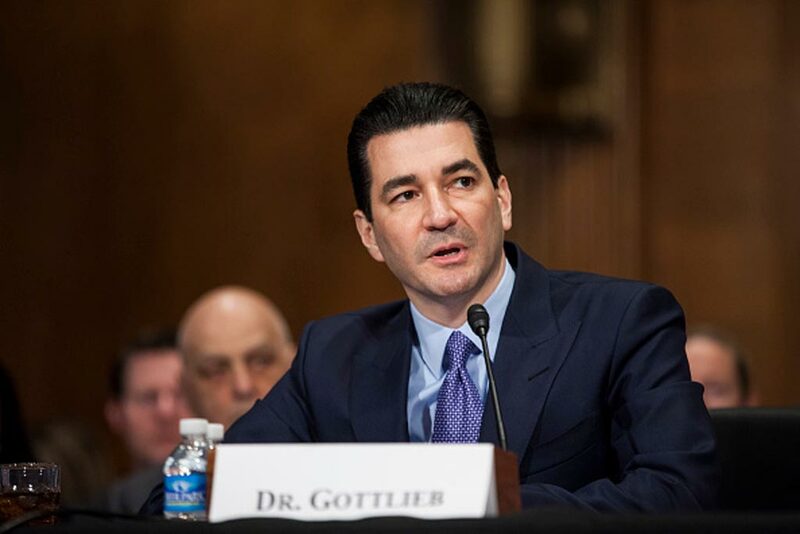 The penalties are based on readmissions of Medicare patients who originally went into the hospital with at least one of three conditions - heart attack, heart failure, and pneumonia.